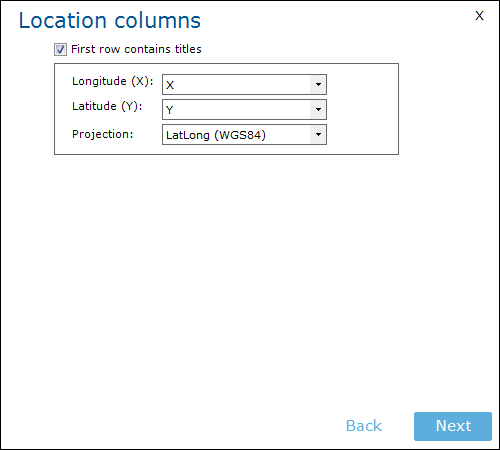 if you have your own coordinates in your data, you can start plotting points on the map richt away. 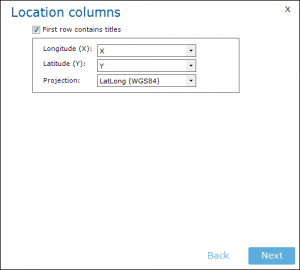 Select the columns that contain the coordinates. 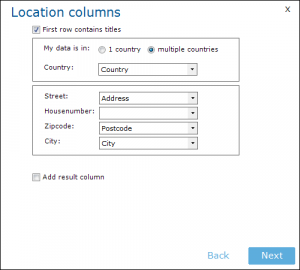 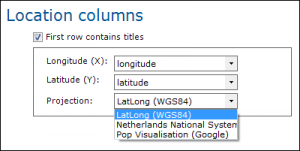 If E-Maps recognizes the column names, it will fill in the form for you. 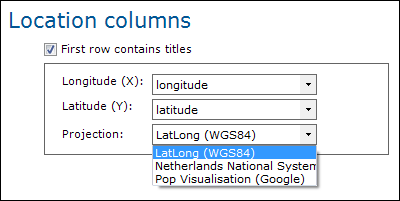 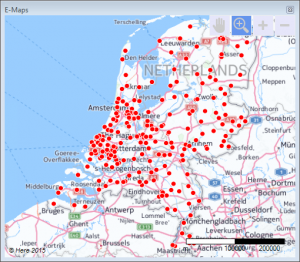 E-Maps has a choice of three types: Lat/Long WGS84, Dutch National system and Popular Visualisation. 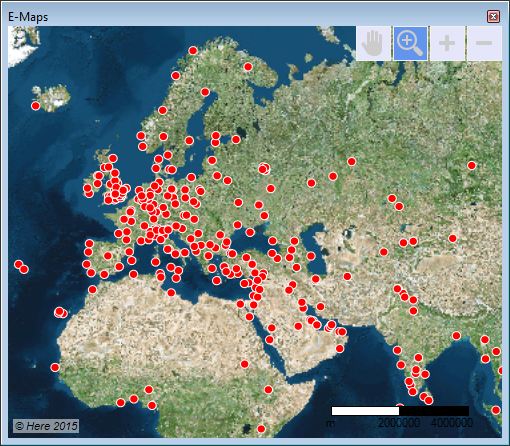 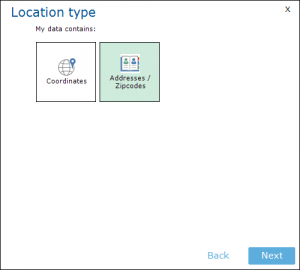 Click on Add Data to Map. 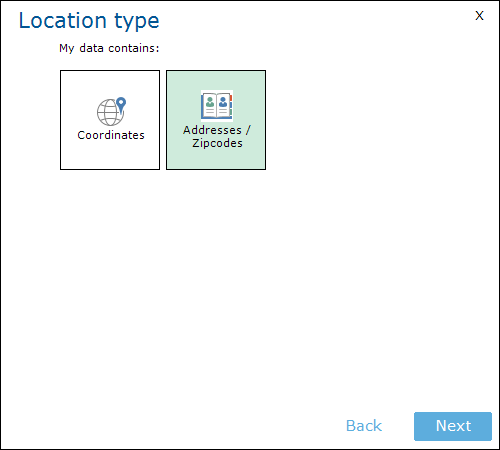 In the next screen, you can use two options, to create points on a map, based on coordinates and by geocoding. 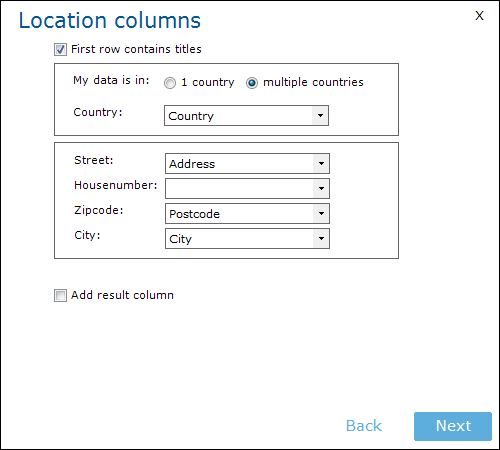 After that, select the columns with the data you want to include in the piechart. 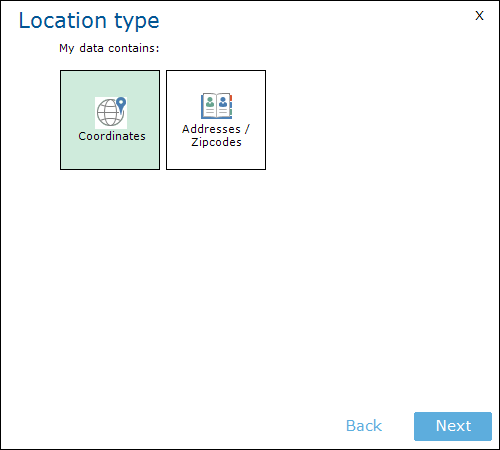 The data must be numbers larger than zero. 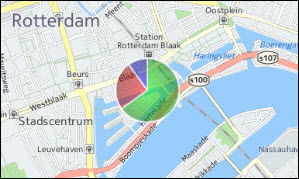 The piechart evenly spreads the ranges of the data. 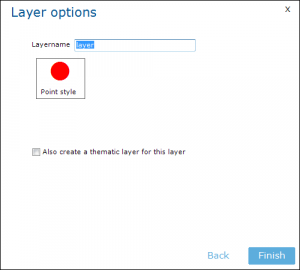 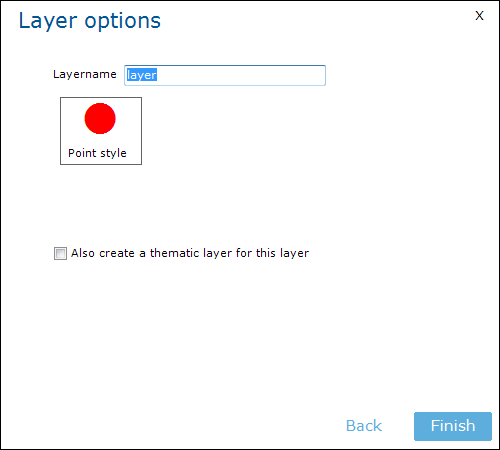 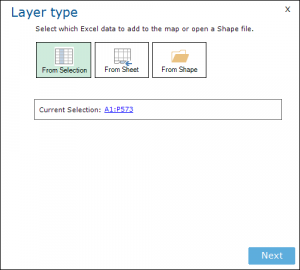 In layer control, you can personalize the style of the piechart, like color and size.